Wireless Hill is a 40 hectare reserve in Ardross which has a number of attractions. It’s a nice location in Perth that overlooks the Swan River. There is plenty of space to have a picnic and relax, and there are some amazing wild flowers in Spring. Wireless Hill has a lot of history, which has been explained below. If you want somewhere to spend a relaxing afternoon then Wireless Hill is a good option. Wireless Hill was known as ‘Yagan’s Lookout’ many years ago, after an aboriginal tribe leader. From 1912, Wireless Hill was used to communicate between the east and west coast. It continued communications through to 1966 and played a huge role in the defence of Australia. There were several circumstances where the Wireless Hill communications station dramatically helped in the First World War. The station was decommissioned in 1967 and has since been developed into an urban bushland reserve. Today, the park has extensive walking trails along with pristine bush and plenty of wildflowers in Spring. 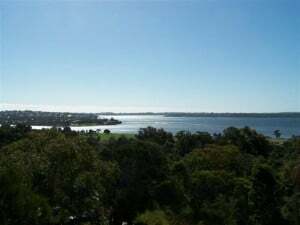 It has a great view of the whole of South Perth, including the city itself. There are many Banksia and Eucalypt trees within the bush land, and it is known as a ‘Bush Forever Site’. 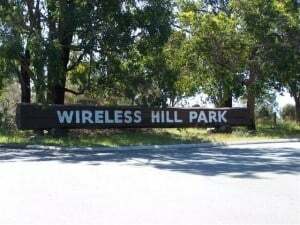 Wireless Hill is one of Perths Attractions. Wireless Hill is located in the City of Melville, at the end of Almondbury Road. The road does a big loop around the main picnic area and then heads out again towards Garden City. Parking is available all the way around the loop, and there is plenty of it. The Museum is in the middle of the loop, but closer to the shopping centre. The playground is located right next to the Museum, and there are plenty of BBQ’s around that you can use at your convenience. The most common reason to visit Wireless Hill is to have a picnic. There is plenty of space to spread out in, plenty of shade, a number of BBQ’s and enough to keep you occupied. 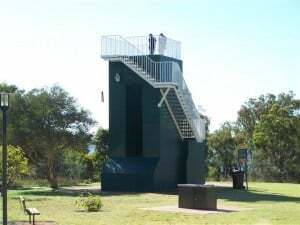 The kids love the lookouts and there are trails that go through the bush land which allow you to see the wild flowers and some of the WA Bush land in its natural state. Wireless Hill is very popular in spring because of the wildflowers that appear. They really do look incredible, and they are worth checking out. If you want to take photos of them, make sure that you pick a day where the wind isn’t too strong – taking photos of flowers when it is windy is almost impossible! 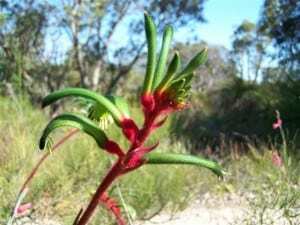 The Wild Flowers range from Kangaroo Paws through to Orchids and Bacon and egg plants. 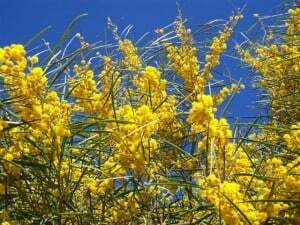 The bush transforms in spring, and you will find a lot of people there taking photos and enjoying the flowers. If you want to see more Wildflowers in Perth you can visit Kings Park or Araluen. The Museum at Wireless Hill is open for tours on Tuesdays and Thursdays, or you can book an appointment. It is worth having a look if you are interested in how radio communications came about. Wireless Hill is used as a community meeting place from time to time, and often kids will be taken there for excursions too.